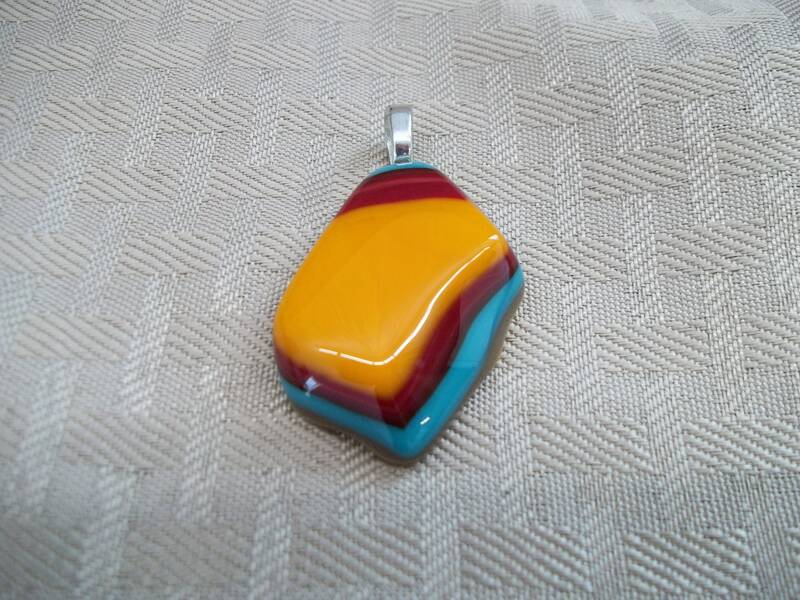 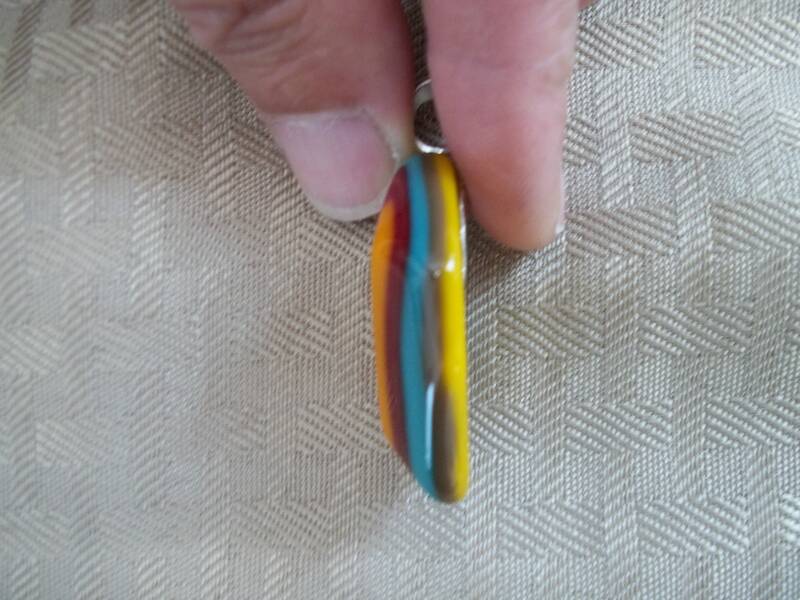 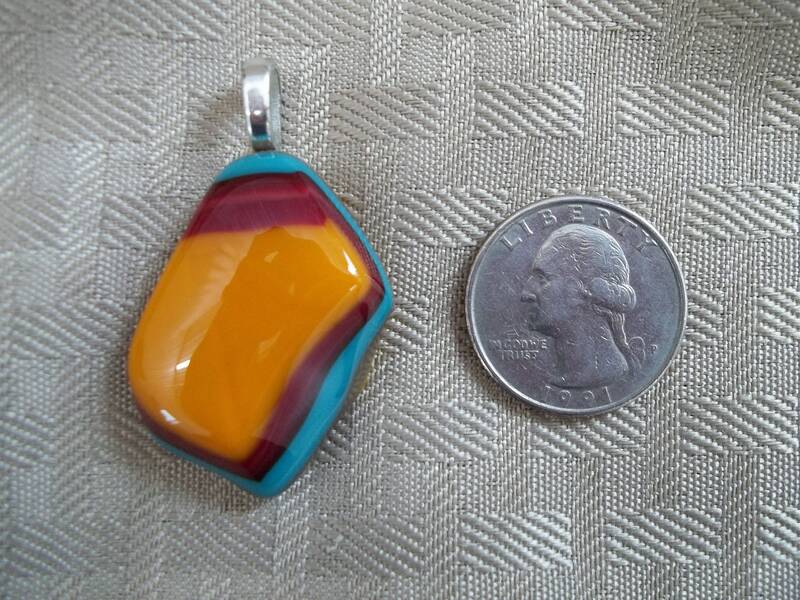 Though this pendant looks like a stone, it is actually layered glass that has been fired in the kiln several times. 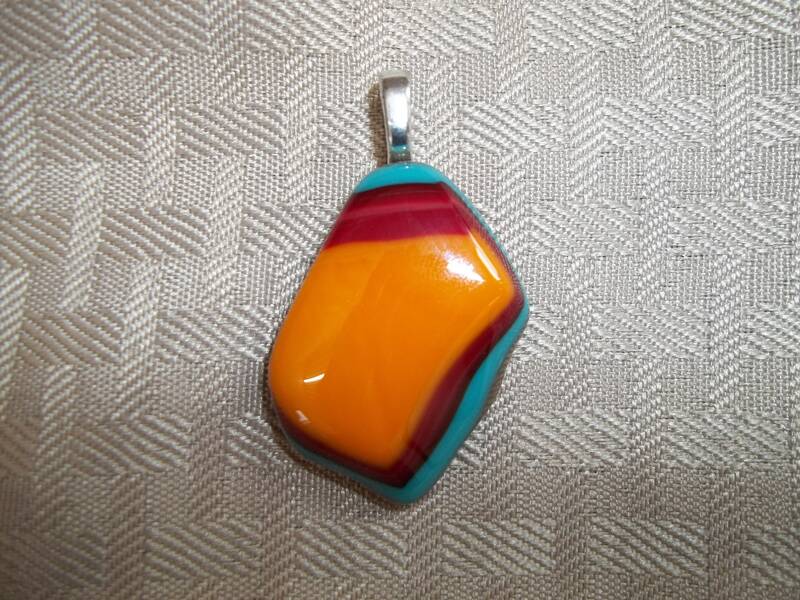 This handcrafted piece has rich colors of dark red, orange, teal, brown and yellow. 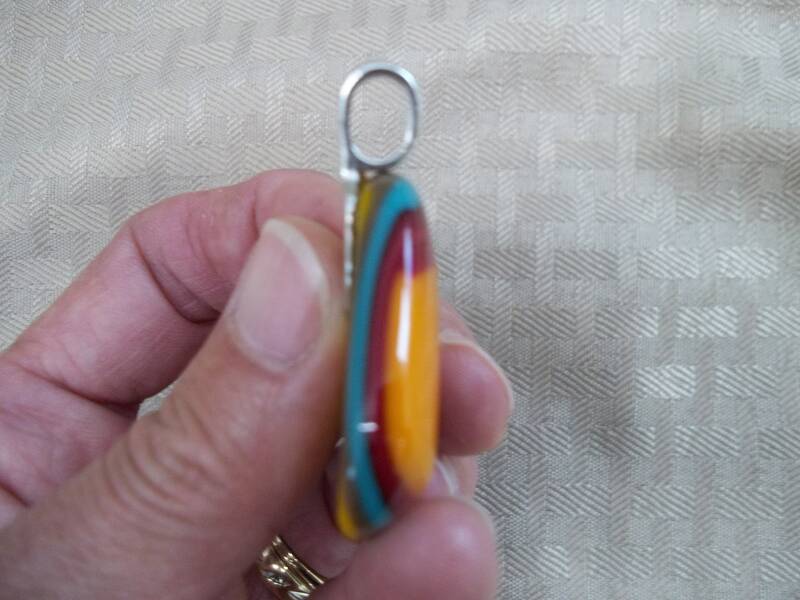 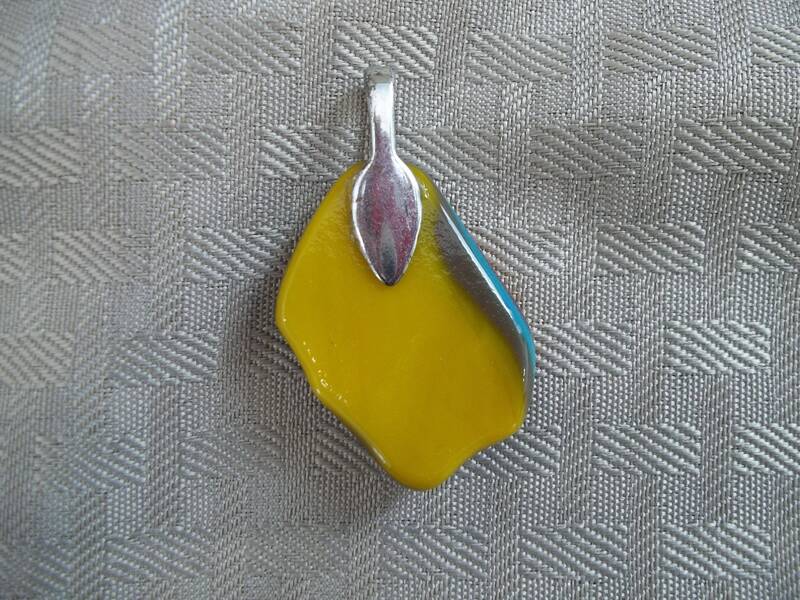 The large sterling silver bail has an opening large enough to slide about any necklace through. 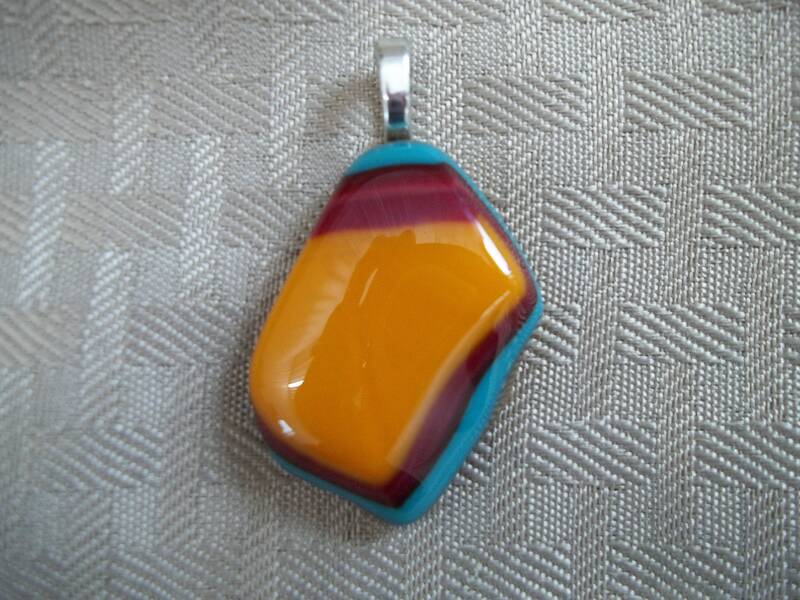 This pendant is so unique and different, it is a definite eye catcher and sure to get compliments.